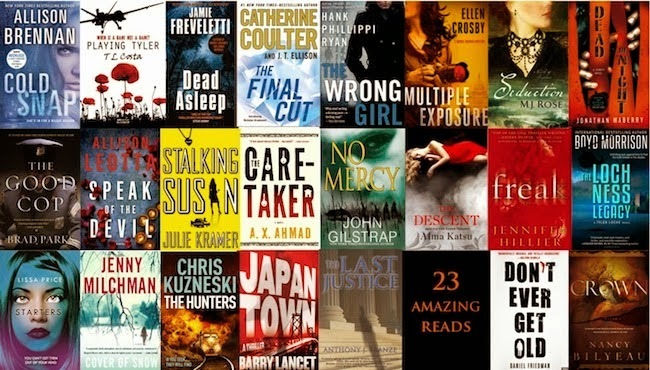 Google+ Reading Teen: Thrillerpalooza: Win 23 Thrillers by 24 Authors! Thrillerpalooza: Win 23 Thrillers by 24 Authors! Alma Katsu (author of The Taker, The Reckoning and The Descent) and Allison Leotta (author of Speak of the Devil) are giving away 23 thrillers by 24 authors (one book was co-written) including MJ Rose, Jonathan Maberry, Catherine Coulter and JT Ellison, Hank Phillippi Ryan, Julie Kramer, Brad Parks, Jamie Freveletti, Boyd Morrison and a handful of members from the past couple ITW debut author classes. We have mystery and suspense, legal and police, political and spy novels, YA, horror and paranormal--just about anything a fan of thrillers could want. The contest is open now and runs through Oct.16. It's open to US residents only. All the details and legal stuff is on this link and the widget (at the bottom of the contest webpage.) By entering, folks agree to be added to the authors' mailing lists. Of course, you can unsubscribe at any time.